If you want to remove XCode from your Mac, you should know that its uninstallation differs from simple application removal. This is especially important because if you try to reinstall XCode the remaining service files of the app might block you. 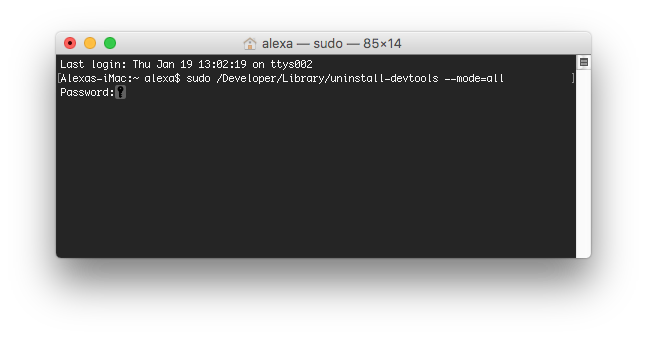 In this article, we will share the correct way to uninstall XCode on Mac with Terminal. But first, let me explain why you can’t delete the app in the usual way. How to delete XCode manually. How to remove XCode with software uninstaller. The XCode package is a native development tool for Mac and iOS operating systems. It includes a number of useful utilities that are required for application development processes. Using Xcode for an extended period of time creates gigabytes of cached data. And the most unpleasant thing about it is that even after work completion, caches still eat up significant disk space. Removal of XCode v4.3 and upper versions is much easier than for earlier versions. But don’t worry, we will show you the uninstalling steps for all the versions. Move XCode to the Trash. 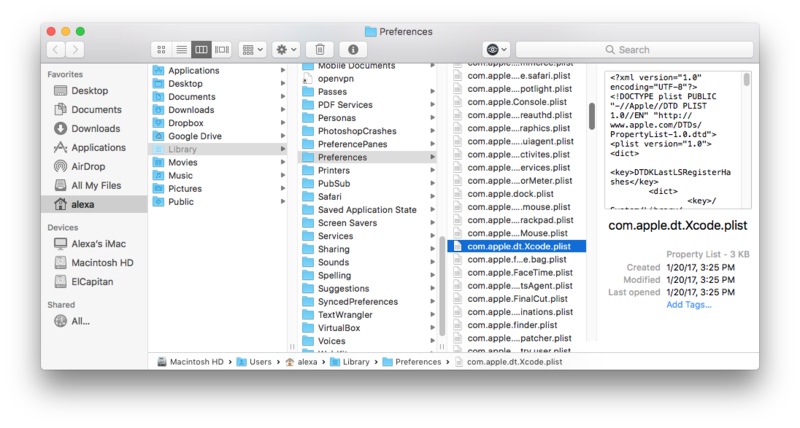 Go to ~Library folder and from there remove all XCode related files. *Please, be careful with the Library folder. Do not delete any important files other than XCode files. You can use the second method of uninstalling any program on Mac. However, instead of wasting time browsing in the Library folder, we would recommend that you use a special uninstaller App Cleaner & Uninstaller Pro. 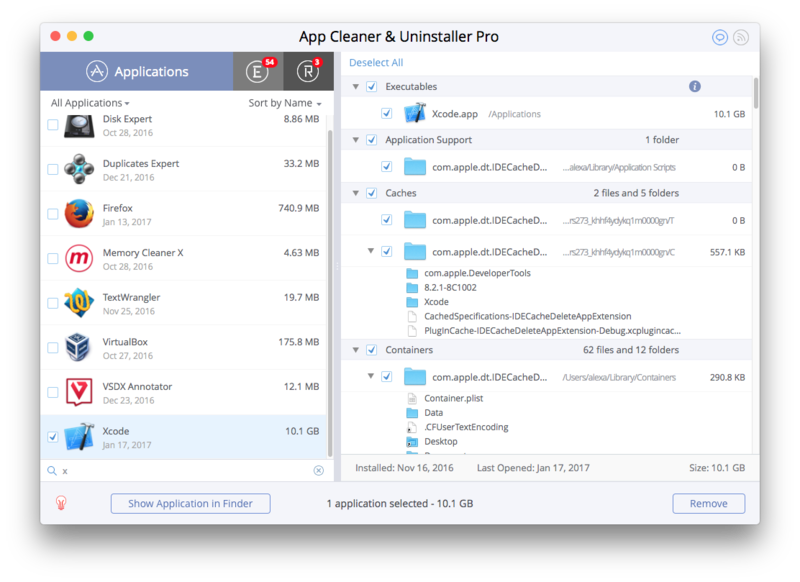 This app provides options for uninstalling programs completely, find leftovers of already deleted apps and manage extensions. Scan the relevant programs installed on your Mac. Select XCode and click Remove.